In order to support the application for the erection of a residential development on a parcel of land of Chester Road, Daresbury a desk study report was required to demonstrate that the site could be made ‘suitable for use’. 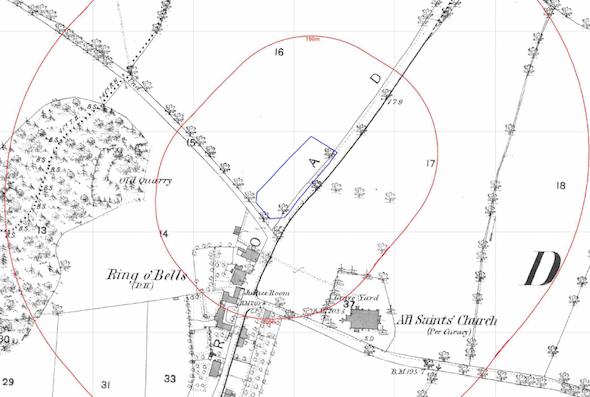 The first stage of the desk study report was to ascertain the history of the site using Ordnance Survey maps, aerial plates and street level imagery. The O.S. maps indicate the site was developed between 1993 and 2002 when a building was erected on the site. Aerial plates identified the building on the 2000 plate as well as an area of what appeared to be hard-standing leading from the building to the south west boundary. The 2009 aerial plates shows the roof of the building had been damaged. An old quarry was identified to the west of the site on the first edition O.S. map, which was identified on all subsequent maps. As the area of the quarry was wooded, the area could not be inspected using aerial plates. A pond and a graveyard were also identified on the O.S maps. Data provided y both the Environment Agency and Groundsure identified a landfill 130m west of the site (int he same location os the old quarry), a review of the records held pertaining to the landfill indicated that only inert waste was accepted. The sensitivity of controlled waters (groundwater and surface water) was assessed using geological maps published by the BGS and data from the Environment Agency. 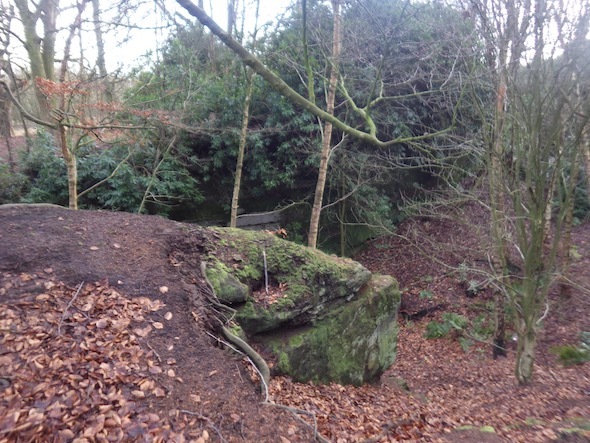 It was concluded that the Sandstone underlying the site was of moderate sensitivity. 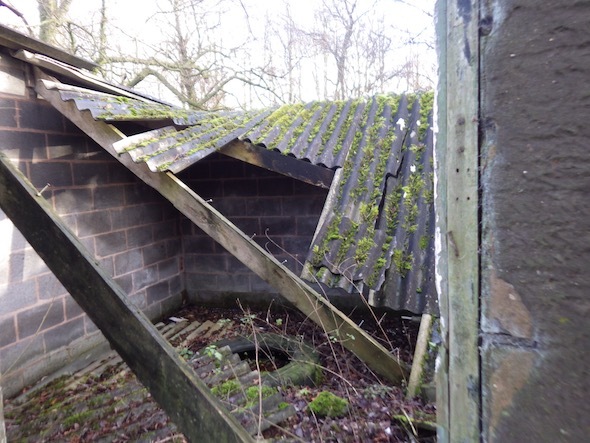 On completion of the desk based review a site walkover survey was undertaken, at the time of the survey the site was overgrown with a disused building on the south eastern area of the site. The roof, which comprised of cement sheeting had collapsed in a number of locations, with broken sheeting in the area of the building. Based on the site observations there was no evidence of made ground on the site. The area of the old quarry/landfill was inspected as part of the walkover survey, and as here was no evidence of in-filling, was discounted as a credible pathway. Given the potential for asbestos fiber releases due to the damage to the cement sheeting a site investigation was proposed to determine if the surface soils on the site were impacted by asbestos fibers. 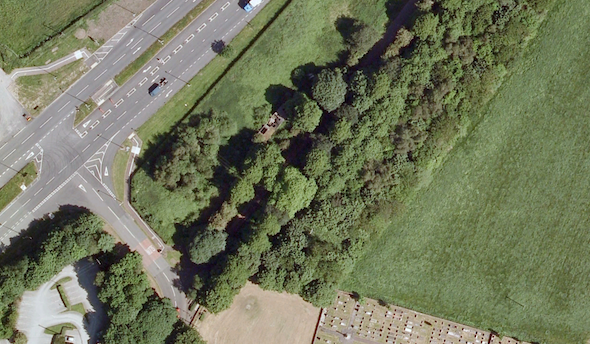 Subsequent correspondence with the local authority relating to the risk of ground gas generation posed by the graveyard and the implementation of a watching brief for made ground during the site investigation, the report and conclusions were accepted.